When Is a Nursing Home Resident’s Suicide the Result of Nursing Home Negligence? You can’t imagine more devastating news. You put your loved in a nursing home to keep her safe and then you got the call informing you that your loved one had committed suicide. How did this happen? Shouldn’t the nursing home have prevented it? Nursing homes have a legal responsibility to provide reasonable care to residents. This may include identifying residents who are at risk of committing suicide and taking reasonable steps to prevent it. However, it does not mean that nursing homes are always negligent when a resident commits suicide. Then you will want to know if the nursing home was aware of any of these risk factors and whether the nursing home took any steps to prevent your loved one’s suicide. This may include taking away the opportunity to commit suicide and informing the family, doctors, and nursing home workers of the risk. The personal representative of your loved one’s estate may begin a wrongful death lawsuit if your loved one’s suicide was the result of nursing home negligence. Any recovery that is made in the case will be distributed among your loved one’s surviving relatives according to Kentucky law. 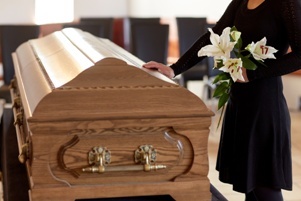 If you would like more information about how a nursing home wrongful death case works in Kentucky, we encourage you to schedule a free consultation with our experienced legal team. Your loved one’s suicide may have been preventable and if the nursing home’s negligence caused your loved one’s suicide, then the nursing home should be held accountable and your family should be able to recover damages. Should I file a nursing home wrongful death case if my loved one commits suicide in a Kentucky nursing home?